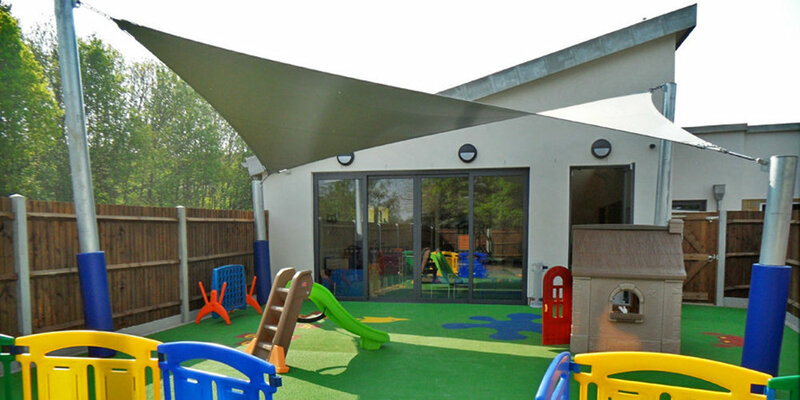 "The design allows the childcare to operate as a single entity, with direct access to dedicated toilets, kitchen and offices and an outdoor, secure play area." The existing building was constructed in 1990 and is located in Langdon Hills a modern estate in Basildon. 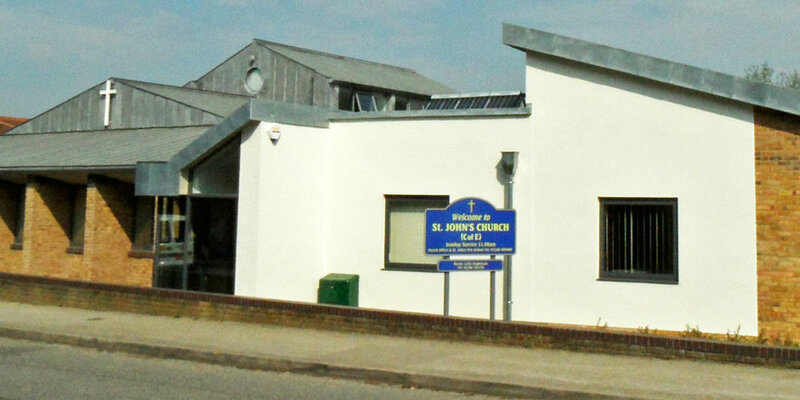 It provides both church and communal facilities. The extension was designed as a single storey build ing adjacent to the existing with a glazed link. 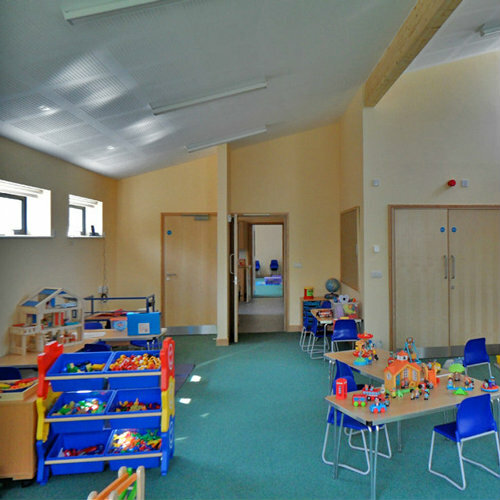 The extension provides two child-care areas with shared kitchen, toilet accommodation and offices. Prefabricated highly insulated wall panels. Building form enhances natural ventilation and provides good daylighting. 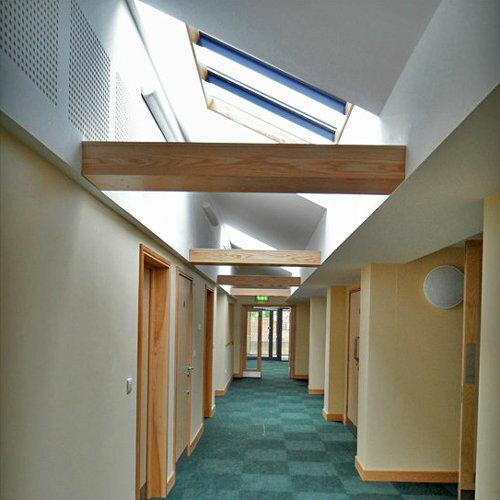 Glazed link maintains good light levels to existing building. Well equipped and safe play area. The design allows the childcare to operate as a single entity, secure and separated from other the uses, which share the building. 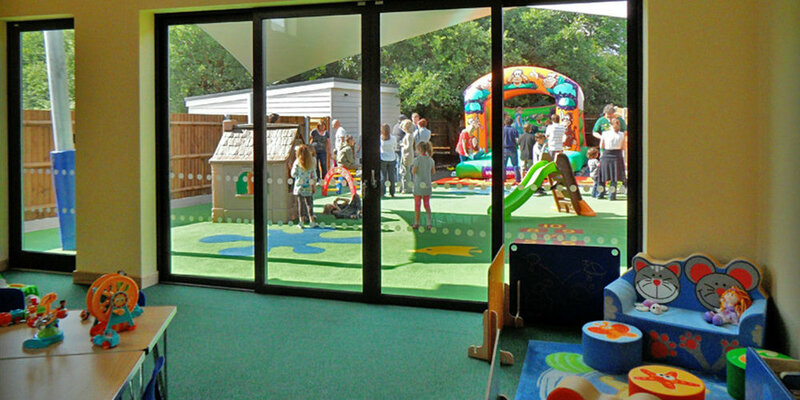 Children and staff have direct access to dedicated toilets, kitchen and offices and an outdoor, secure play area. The client was particularly concerned to retain access through the existing entrance. This allows the client to monitor those entering and leaving the building and to provide continuity in supervision between the day care, breakfast, lunch and after school clubs.